Everyone knows laundry can be a hassle. Make your job a little easier and a lot more fun with the 3 Sprouts Laundry Hamper! 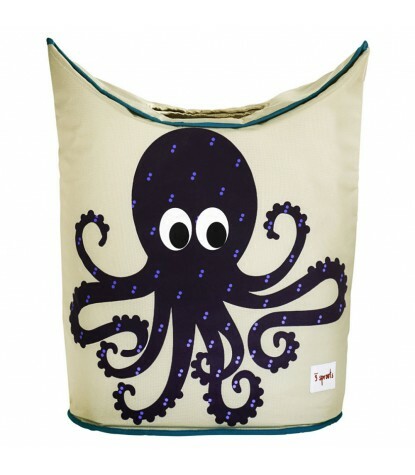 These collapsible and tote-able laundry hampers come with your child's favorite animal in bold colors on the front. The top two large handles collapse, creating a circular opening that stylishly hides away any dirty clothes from plain sight! Ready to start the wash? The hampers top folds back open revealing handles that allow it to be carried away with ease. The interior lining makes for easy cleaning, and It even folds completely flat when not in use! 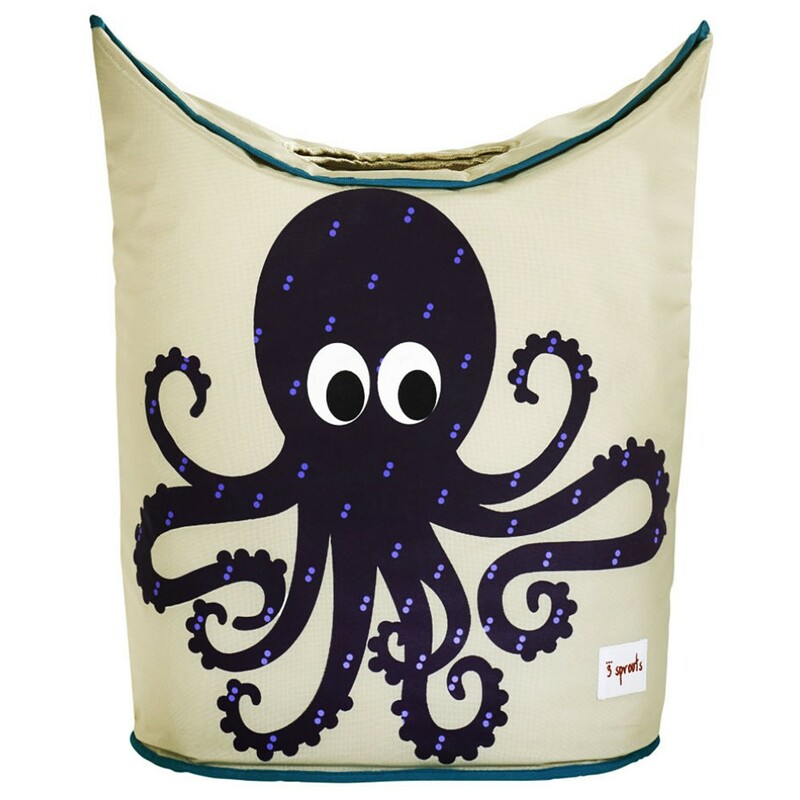 This Octopus Laundry Hamper features a large purple Octopus.